Next Star Communications is a Sprint Authorized Retailer and Authorized Business Dealer with 33 Sprint stores in Georgia, Atlanta, and the surrounding area. We are one of the few Sprint Retailers that has business-to-business sales teams that handle the wireless needs and business solutions of small, medium and large companies in Atlanta and Alabama. As a top performer in the wireless retail industry, we have proudly served our customers since 2000. Our goal is to help you lower your wireless costs and provide superior customer care. Find a store below. What Makes Us Different? Our People. Whether assisting retail shoppers at one of our 33 Sprint stores or consulting businesses on devices, wireless rate plans and WI-FI hotspots, our people are what makes us different. As a Sprint Authorized Retailer, we’re committed to providing the best customer service and ensuring our products are in line with your needs and expectations. Our goal is to serve our customers and community through knowledge, service, honesty, and superior customer care. Next Star is recognized for its community involvement, values, and leadership. Need a new smartphone? We’ll explain our current cell phone and data plan promotions, help you choose the right option based on your needs, and even set up your new device for you. 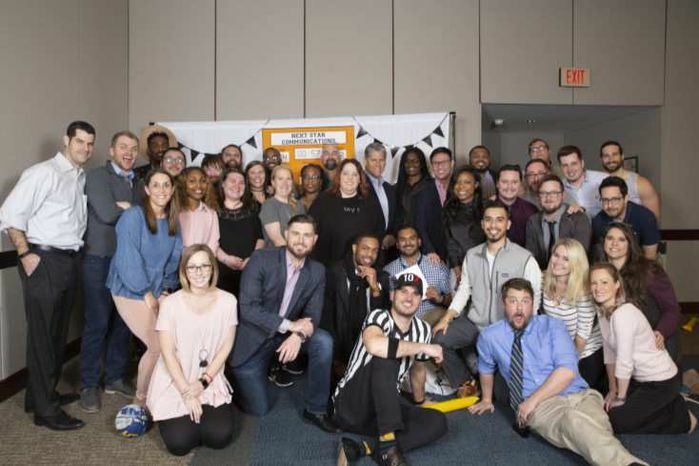 With so many Sprint store locations, Next Star Communications is always seeking ambitious, energetic, hardworking individuals to join our friendly team. If you’re ready to learn all about wireless devices and mobile services, and share your love of technology with customers who value your expertise, then we’d like to meet you. Check out our career opportunities and apply today. To contact us for any of your business needs please call us at (770) 368-9511 opt. 3 or email us anytime at NextStarBusiness@NxtStr.net and we will come to you. Founded by Robert Moeck in 2000, Next Star Communications started with one location in Snellville, Georgia. We have now grown to 33 Sprint stores. In addition, we are a Sprint Authorized Business Dealer with an outside sales team that serves Atlanta, Northeast Georgia, and the surrounding area. Over the years we’ve successfully adapted to the fast-changing industry of wireless communications. Our success is due, in part, to our knowledgeable employees who listen to the unique needs of our customers and then determine the best wireless devices and plans to suit them. Staying true to our belief of developing our leadership team from within, we provide weekly leadership classes, sales and customer service training, and ongoing education on the latest products and services offered by Sprint. Recognized for our community involvement, values, and leadership, we strive to find new ways to meet the changing wireless communication needs of our customers while continuing to exceed expectations.